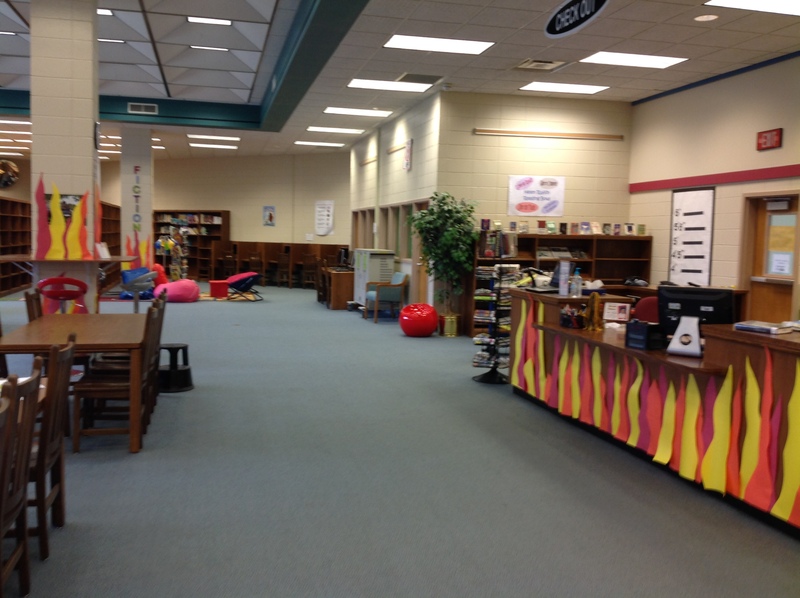 Taking inspiration from Bradbury’s Fahrenheit 451, we set our media center ablaze for Banned Books Week. I have a rare, quiet moment this afternoon–not long enough to dive into anything deep and philosophical, but long enough to share a little bit about how we celebrated the freedom to read in our school in September. Inspired by Bradbury’s Fahrenheit 451, we caught the attention of our students and teachers by setting the library “ablaze” with paper flames. We also set up a Booking station that displayed a number of books that have been challenged, banned, or burned in the United States. Teachers and students were encouraged to take a booking photo with their favorite banned or challenged title, and to check out one that they hadn’t yet read. On the poles and ends of shelves throughout the library, we posted QR Links that featured content that represented reading across the curriculum. We are already gathering ideas for next year–and looking forward to celebrating Teen Read Week soon!